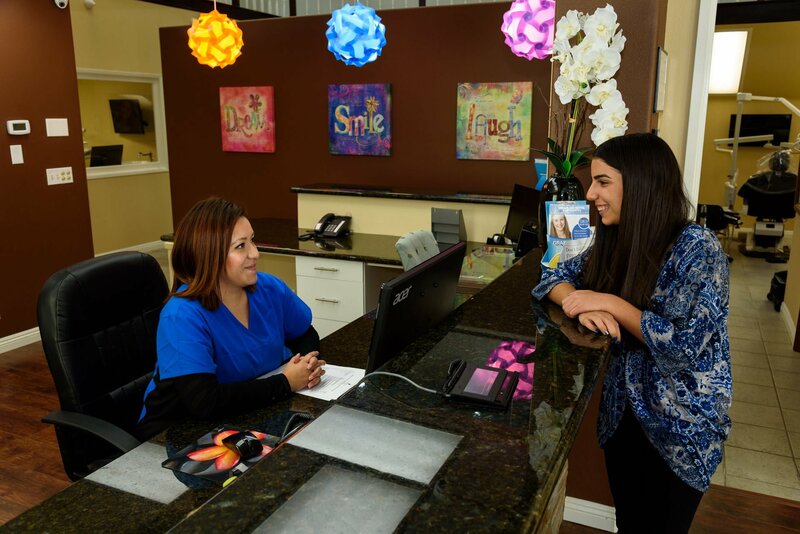 During your complimentary orthodontic consultation, our goal is to make your first orthodontic visit as comfortable, convenient and rewarding. We will give you a tour of our office, ask questions about your health history, take X-rays as needed, and complete oral exam to assess what orthodontic treatment would be best for you. We will let you know how long you would need your braces for and what type of braces you are a good candidate for. After you decided either metal braces, clear braces or Invisalign, then we will discuss with you the best financial options to meet your specific financial needs. 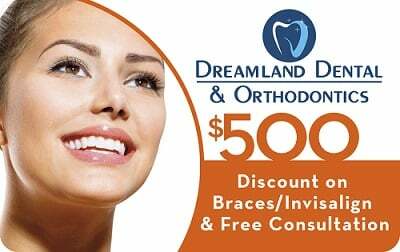 At Dreamland Dental and Orthodontics we want to make sure that you have a very successful treatment. In order to achieve this, we need your cooperation and commitment. We have created the reward system to motive the good behavior of our patient’s. We have a list of rewards such as gift-cards, soccer balls, headphones, video gamaes, iPads, and many more amazing prizes to choose from. Starting prize is 250 points. Braces will help align the teeth correctly. There are many issues associated with not having a healthy bite such as speech problems, poor hygiene, social anxiety due to not wanting to smile, headaches, and jaw joint pains. Our orthodontist will asses the length of your treatment based on the severity of the malocclusion. In some cases, additional appliances might be required for a satisfactory treatment. Usually, the treatment will last about 6 months to 3 years. 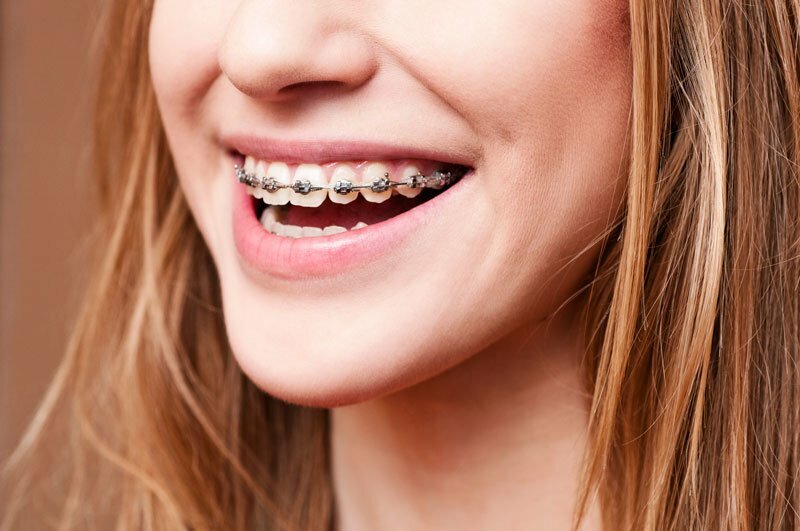 Clear braces are another alternative to metal braces. The length of the treatment depends on the complexity of the occulsion, which your orthodontist will discuss all of your option in details with you. Headgear: to prevent maxilla from growing and helps keep the maxillary molars in place. This appliance is only used at night time or after school time. Reverse Headgear: This appliance is used to help the growth of mandible and helps the maxilla come forward. This appliance is used only at night time or after school. Maxillary Expander: This appliance expands the maxilla. This appliance can be removable or fixed and it will last for approximately 6 months depending on the case. Lingual Holding Arch: This appliance is used to hold the lower molars together and prevents them from moving forward. This appliance is very important to prevent the adult molars to move forward when the primary molars have been lost at an earlier age. If permanent molars shift forward, they can block the eruption of premolars and cause severe malocclusion. Tongue Crib: This appliance helps with tongue thrust and thumb sucking. Controlling tongue posture is one of the most important part of orthodontics treatment that will allow a long lasting smile. When tongue posture is not controlled, the pressure from the tongue can push the lower teeth forward and the top teeth backwards and this can also cause severe malocclusion. Controlling this habit at a young age can prevent severe and complex orthodontic treatment. Fixed retainers: comprises of a wire that is attached from canine to canine. The disadvantage of this retainer is the difficulty of cleaning between the teeth since the retainer is attached to the teeth. In addition, if the wire becomes damaged or broken and the patient does not notice this change, teeth can shift and cause crowding and misalignment. For these reasons, many orthodontists and dentists have shifted away from this treatment since the patient’s ability to keep good hygiene is more important to maintain oral health. Hawley retainers: they are removable and adjustable and your orthodontist can tighten and make changes as needed based on your teeth movement as necessary. Essix (clear) retainers: they are clear retainers and not adjustable by your orthodontist. Invisalign are custom made series of aligners for orthodontic patients. These aligner trays are made of smooth, comfortable and virtually invisible plastic that you wear over your teeth. Wearing the aligners will gradually and gently shift your teeth into place, based on the exact movements your dentist or orthodontist plans out for you. A new set of aligners are worn approximately every two weeks, until your treatment is complete. One of the main advantage of invisaling is that are not noticeable by people, however, they have to be worn at least 22 hours a day. In complex situations, your orthodontist can combine Invisalign and conventional braces to achieve your dream smile. Orthognathic surgery is required to re-position one of the two jaws to achieve an ideal jaw relationship, facial harmony, and correction of the bite. Orthognathic surgery (Greek “orthos” means straight and “gnathos” means jaw) is a single or double jaw surgery which is performed to re-position the jaws. The jaws can be rotated either forwards, backwards, up, down or rotational. A beautiful profile can be reconstructed using orthognathic surgery. Usually orthognathic surgery is in conjunction with orthodontic treatment. 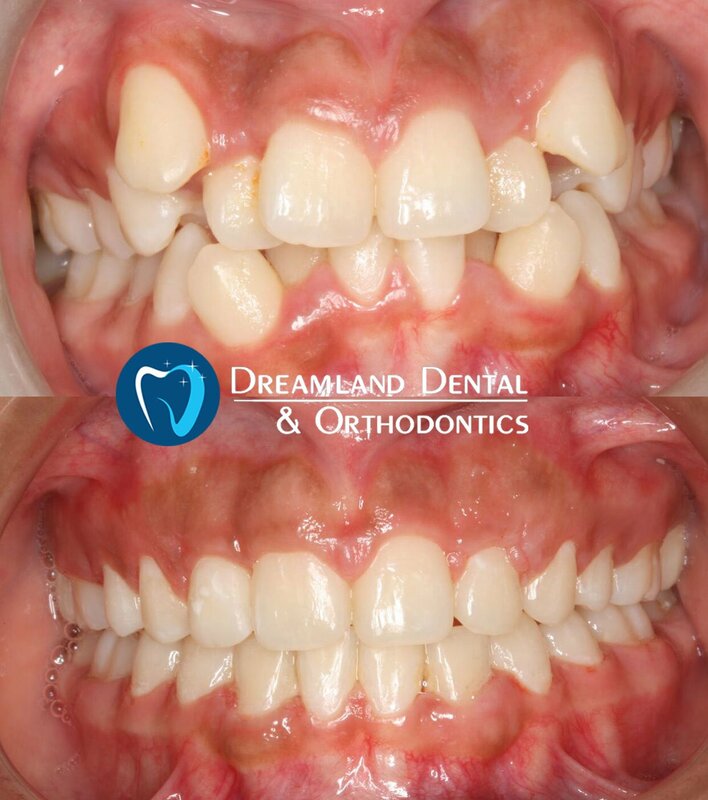 First, braces are placed to align the teeth and remove any crowding or spacing, if alignment of the teeth and jaws are not possible using orthodontic appliances such as external elastics, functional appliances, and extractions then it is necessary to surgically align the jaws. Your orthodontist will inform you at the beginning of the treatment if surgery is necessary. Complexity and cost of the surgery prevent patients from accepting orthognathic surgery option. In some cases, the orthodontic treatment can be camouflaged to create a harmonious facial profile and occlusion. Your orthodontist will discuss with you if you are a good candidate for non-surgical treatment. In some situations, the only possible way to achieve an ideal facial profile and correct bite is to perform orthognathic surgery.